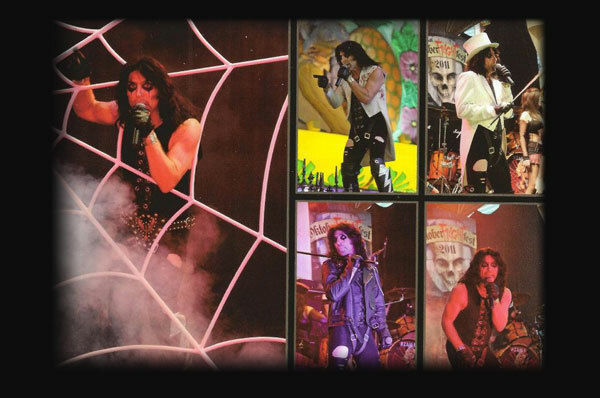 Audiences love this non-stop theatrical tribute to Alice Cooper, the macabre “Nightmare Returns” show. This exciting show recreates all the drama of Cooper’s live tours. All the replica props and costuming expected from this quality show are created and produced by Rob Valentine. A truly uncanny vocal and visual double, Valentine takes your audience back to the early days of rock stars. Wanna Book Rock As Alice? You can book Rock As Alice for your next event just by clicking the "Book Them Now" button to the right and filling out the form. We will be in contact with you about their availability as soon as possible.